Apple devices are beautifully designed pieces of technology and powerful machines, but daily heavy usage drains their batteries very fast. Fortunately Apple is coming up with a solution. After a British company we reported on a while ago managed to fit a new type of fuel cells into an iPhone 6, allowing the device to run without charge for a week, now it's time for your MacBook. 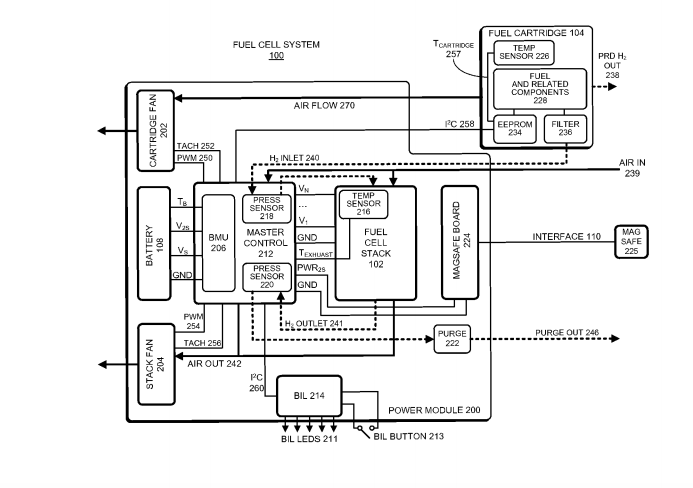 According to 9To5Mac the U.S. Patent and Trademark office has published a patent application from the company for the same type of fuel cell system that Intelligent Energy mounted on an iPhone. The system is based on a hydrogen powered battery that reacts with oxygen and generates energy. Your computer could potentially run for weeks at a time and all you need to do is refill the hydrogen when it runs out.